Sennoside extracted from Cassia Angustifolia Calcium sennoside is excellent natural laxative properties. A very flexible and effective ingredients for safe formulations. This is a very proven and time tested medicinal product. Sennosides along with other anthraquinone like hydroxyanthracene glycosides are the derivatives of Senna leaves. In the traditional & modern routine of medicines they have been used as proven laxatives in a natural way. Native of Sudan and Arabia. Completely naturalized in Indian agro climatic conditions and is cultivated in Rajasthan, southern India, Gujarat and Kutch in western India. The stem is erect, smooth, and pale green. It has long, spreading branches, bearing leaflets in four or five pairs, averaging an inch long. It is lanceolate or obviate, unequally oblique at the base, veins distinct on the under surface, brittle, greyish-green, of a faint, peculiar odour, and mucilaginous, sweetish taste. The form of the base, and freedom from bitterness, distinguish the Senna from the Argil leaves, which are also thicker and stiffer. The flowers are small and yellow. The pods are broadly oblong; about 2 inches long by 1 inch broad, and contain about seeds. Commercial Senna is prepared for use by garbling, or picking out the leaflets and rejecting the lead-stalks, impurities, and leaves of other plants. Premium quality Senna may be known by the bright, fresh, yellowish green colour of the leaves, with a faint and peculiar odour rather like green tea, and a mucilaginous, sweetish, slightly bitter taste. It should be powdered only as wanted, because the powder absorbs moisture, becomes mouldy, and loses its value. Boiling destroys its virtues, unless it is in vacuum, or in a covered vessel. Calcium Sennoside A&B 20%, 40% and 60% as per USP Grade. Calcium Sennoside A&B 20%, 40% and 60% as per B. P. Grade. 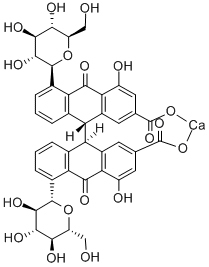 Calcium Sennoside A&B 20%, 40% and 60% by HPLC Method. Sennoside 80% as per USP Grade. Leaf Powder contain more than 2% of Sennoside. Leaves of Different size grade. Sennoside acts on the lower bowel and is especially useful in improving / lightening constipation. It is a soft purgative because of the presence of ample Anthraquinone. Senna is used as the primary ingredient in certain commercial stimulant laxatives. Senna is also the primary ingredient found in most “dieter’s teas”. The combination of acting as a stimulant which reduces a dieter’s appetite, and the laxative properties that cause food to move through their system before as many calories can be absorbed is a combination that can lead to rapid weight loss. It increases the peristaltic movements of the colon by its local action upon the intestinal wall. Its active principle must pass out of the system in the secretions unaltered. The purgative effect is increased by the addition of pure bitters. Senna has active ingredients Anthraquinone derivatives and their glucosides. The latter are called Sennosides or senna glycosides. It contains Rhein, Rhein 8-glucoside, Rhein 8-diglucoside, 8-glucoside, kaempferol, aloe-emedin, Isorhamnetin, both free and as glucosides together with myricyl alcohol, Chrysophanic Acid, etc. The ash consists chiefly of earthy and ashy carbonates. 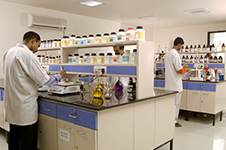 Quality of Product is achieved through a holistic system & processes. 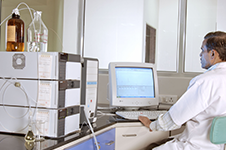 It is supported by QA process & ultra modern QC equipments with microbiological lab. Raw material processed from control cultivation contract source. Ensure complete heavy metal free material. Material stored in hygienic condition. Ensure contamination free environment from foreign bodies and impurities. 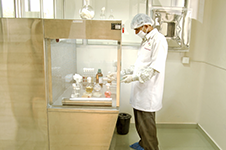 Production process according to Pharma Guidelines. Production process handling without human contact. AHU to manage air humidity & quality air conditioning systems to ensure hygienic conditions. Quality assurance practices using policies guidelines for consistent quality of end product of world class. Product packages procedure to ensure contamination free product. Use of controlled air handling environment. 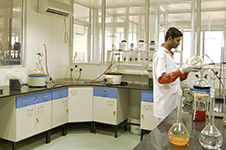 Material stored in hygienic condition and procured from pharma grade supplier. Polarization using fumigations as per standards.